Timed to coincide with the 100th anniversary of the ending of World War 1, our new exhibition reveals a little of the town’s history at the time and the role it played in international events, as well as telling the stories of some of our more prominent townspeople who are buried in the local cemetery. If you’ve driven from Herne Bay to Canterbury, or along the old Thanet Way from Greenhill towards the Canterbury Road, you will have spotted our local cemetery. On the side of a hill along Canterbury Road, it houses the remains of thousands of former residents of the town. 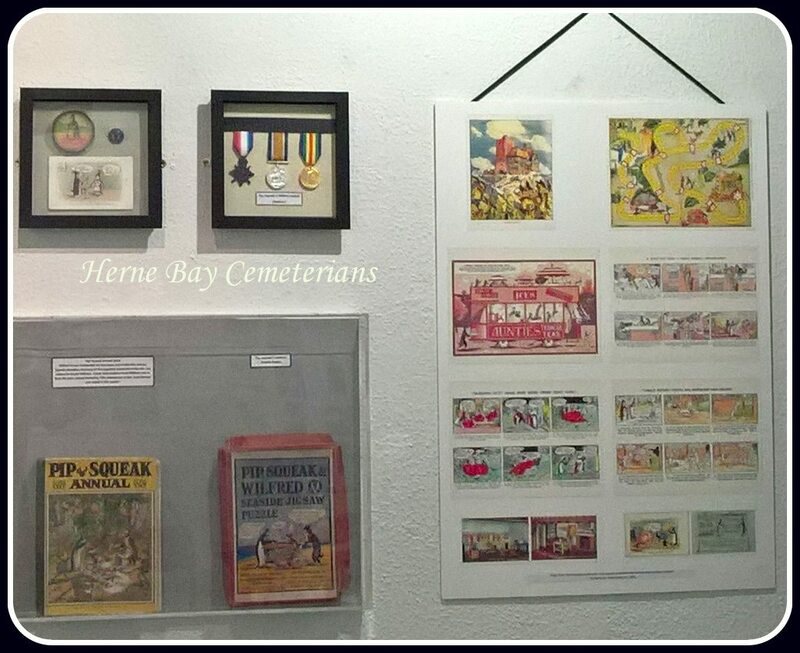 Herne Bay Cemeterians, a group of local volunteers, have recently completed a project to transcribe all of the cemetery’s memorials, and are working to research further into some of the history of the site and its residents. Our exhibition showcases some of that research, providing fascinating insight into this part of the town’s history, and explaining about the important work the researchers have done and are still carrying out – work that will provide a vital research source for decades and even centuries to come. There are also two publications available to purchase from the museum written and published by the group. Author Lin WhitePosted on July 30, 2018 Categories Children's activities, Out and About, Special eventsLeave a comment on Bayfest is under way! Don’t forget our photo competition! Posters for our next photo competition will be going up around town soon! We are looking for photos that show off Natural Herne Bay. We ask that your photos show some aspect of nature and can be identified as taken somewhere within the area of the Hampton/Reculver/Herne triangle. Up to three entries per person, to be submitted as prints (preferably A4 landscape size) along with an entry form. 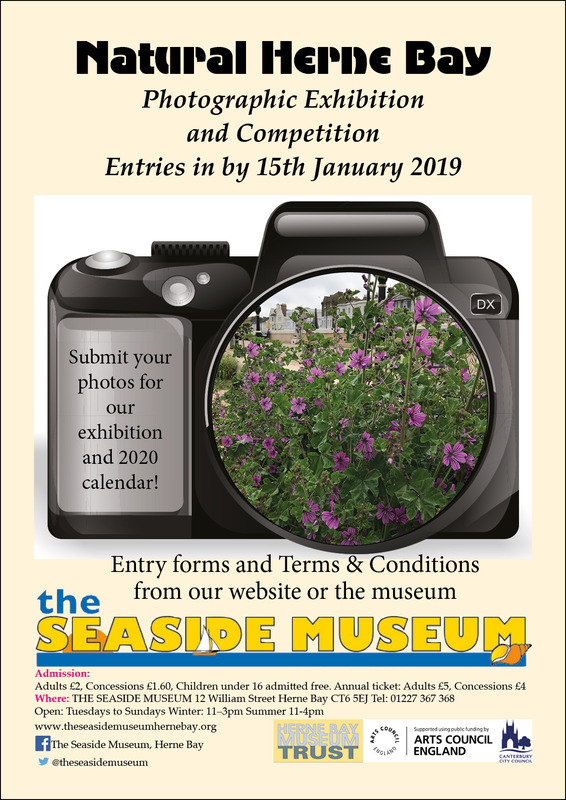 Entries to be with the Seaside Museum by 15th January 2019. Entries will form our January/February exhibition next year, and the top 12 entries (4 chosen by museum volunteers plus 8 chosen by public vote) will form our 2020 calendar. Author Lin WhitePosted on July 13, 2018 Categories Competitions, ExhibitionsLeave a comment on Don’t forget our photo competition! 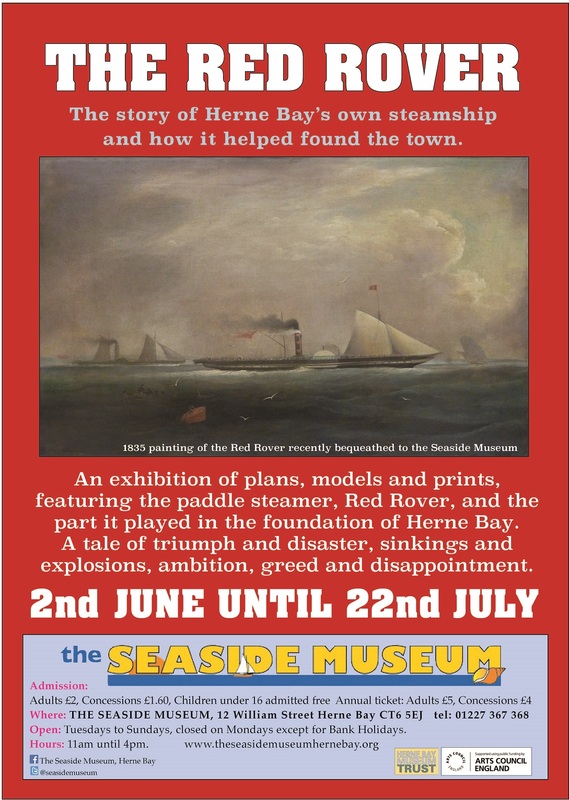 Our new exhibition is now open to the public – The Red Rover tells the story of the paddle steamer and her sister ship, how she served the town, and how she contributed to the development of the town itself. It’s a fascinating story, about the first tourists to visit the seaside. The pier was built so they didn’t have to transfer to rowing boats to come ashore, and coaches would take them on to other parts of the county. 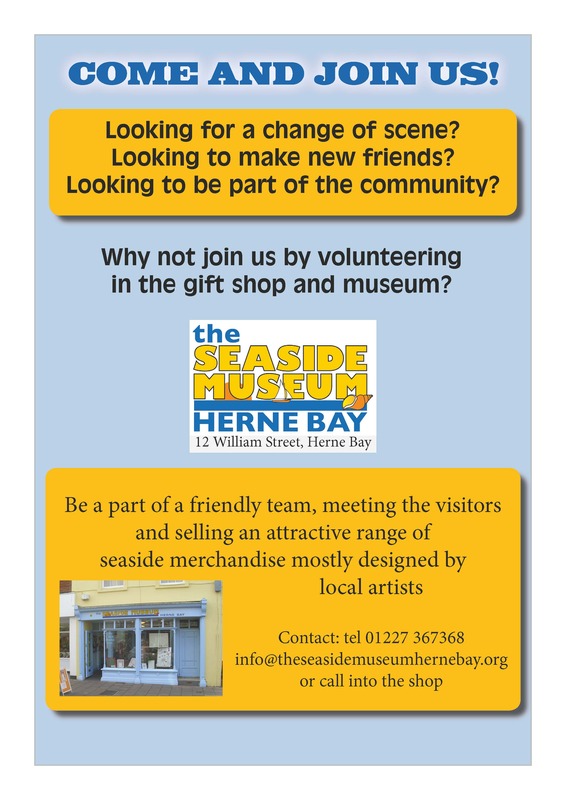 Do visit the museum, have a good look around our exhibition and learn something new about our wonderful town! 2020 is a long time away! But we’re already thinking about it. 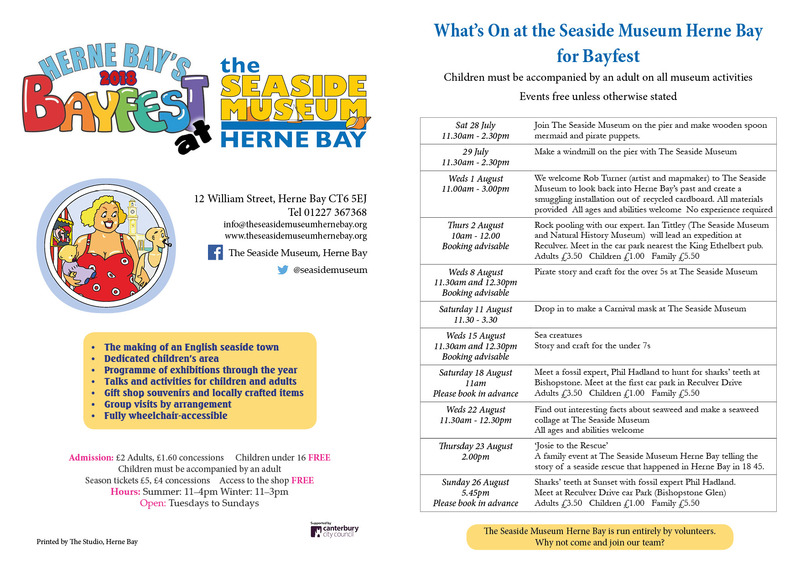 The 2018 exhibition, Leisure and Pleasure in Herne Bay, is now over, and we’re in the process of putting together a calendar from the winning entries. This will be available to buy in our museum shop from around September-time, and makes an excellent present. 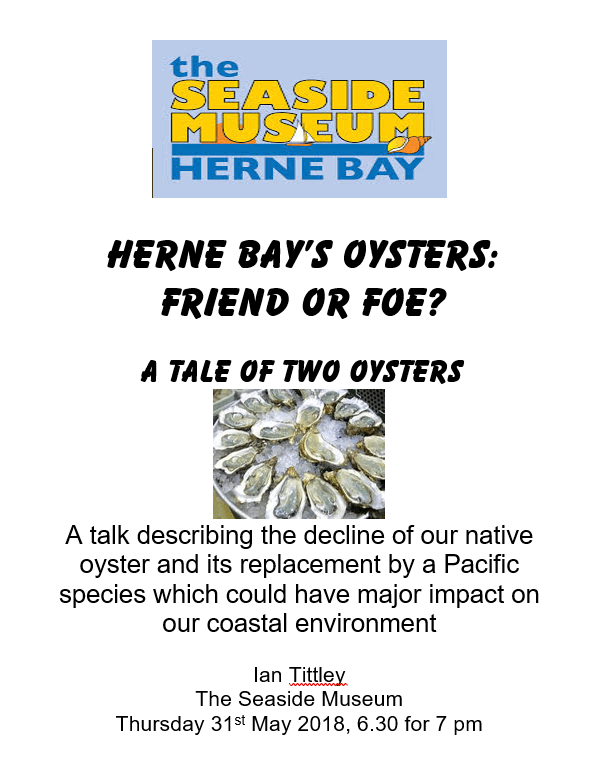 2019 will see our next exhibition and competition, with the theme Natural Herne Bay, and the winning photos from that will go forward into our 2020 calendar. While January 2019 is a long way away, we want to give you plenty of notice so that you can take some fantastic photos over the next few months. So we’re already releasing the entry forms, and look forward to receiving your entries. We’d like to see photos that show some element of nature within the Hampton/Reculver/Herne triangle (ideally there would be something within the picture that shows the location).